We’ve been called the best in breed – but we’re humble folks. Lets just say we know what we’re doing and our marketing team eats search engine optimization in a large bowl for breakfast. Sure – we can build you a beautiful and lead converting website – but if its not optimized for the search engines – chances are traffic to your site will be nominal. Common sense tell us if we don’t do everything we can to build traffic to our web site – we’ll get lost in search and pretty much won’t exist in the prospects eyes. Organic search engine optimization provides organic or some call it – natural search engine results. Each year – pay per click add costs continue to rise – the competition creates a bidding war for the top sponsored links and we don’t see this slowing down anytime soon. Google is the new Yellow Page. Worldwide, 88,000,000,000 searches are being done per month on Google alone. 57% of Internet users search the web every day. Bottom line – if your not ranking at the top – your business is suffering and your competitors are eating up the business. 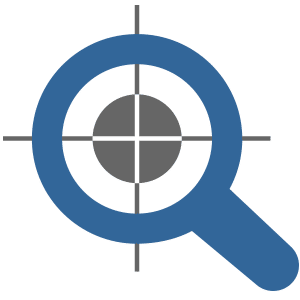 Its time you get serious and partner with a reputable company that only provides white-hat search engine optimization tactics. With these known facts – we’ve developed search engine optimization plans that will work for virtually any size business with any size revenue goal. Our goal is to keep cost clear and reasonable by charging a flat monthly service fee. The more advanced plan levels will naturally improve results in a shorter amount of time.